CALL 914-966-0257 OR EMAIL US TODAY. Manhattan, Brooklyn, Queens, The Bronx, Staten Island, Westchester, and Atlantic City. PRIVATE RESIDENCES: Manhattan, Brooklyn, Queens, The Bronx, AND WESTCHESTER COUNTY. 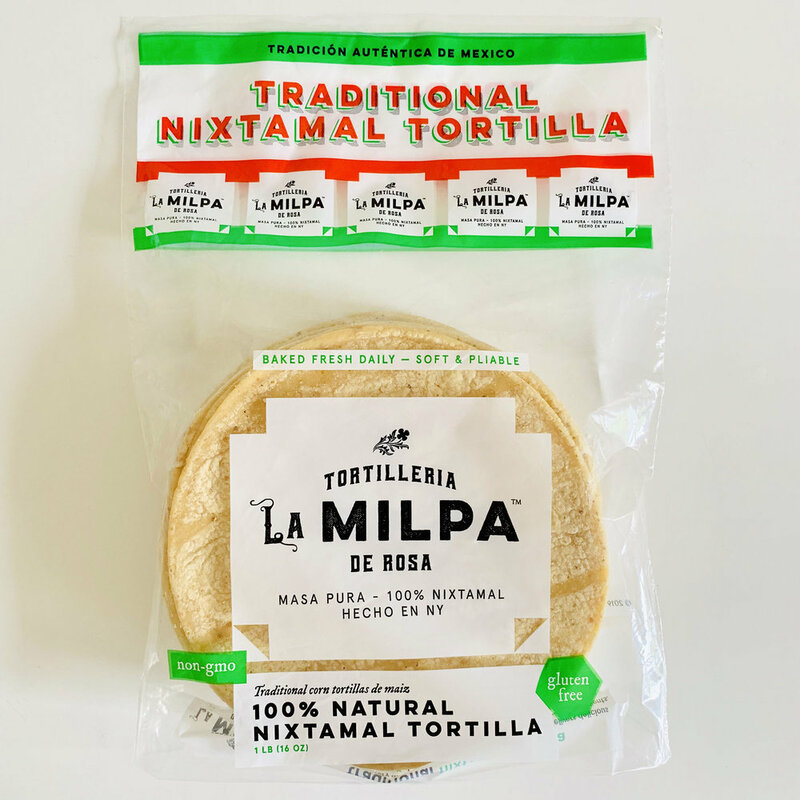 La Milpa De Rosa bakes traditional nixtamal tortillas every day. 100% corn. 6" pulgadas de nixtamal disponibles. Our tortillas are made with fresh and 100% natural ingredients with no artificial preservatives. 100% natural all-purpose blue masa (azul). Our fresh ground masa azul is ideal for making tortillas, pupusas, gorditas, sopes, and more. Our masa azul is also great for gluten-free cooking and baking such as gluten-free chips and cookie monsters. 100% natural white all-purpose masa. Our fresh ground masa is ideal for making tortillas, pupusas, gorditas, sopes, and more. Our masa is also great for gluten-free cooking and baking such as gluten-free pizza crusts, chips, and cookies. Our proprietary, classically coarse tamale blend lends delightful texture to tamales. Nuestra mezcla patentada de tamales es más gruesa clásica y se presta mejor textura a sus tamales. Our masa is made with fresh and 100% natural ingredients with no artificial preservatives. Our Masa for Tamales makes it easy to prepare traditional Mexican dishes with authentic, traditional hometaste. Tortillas de maíz blanco. 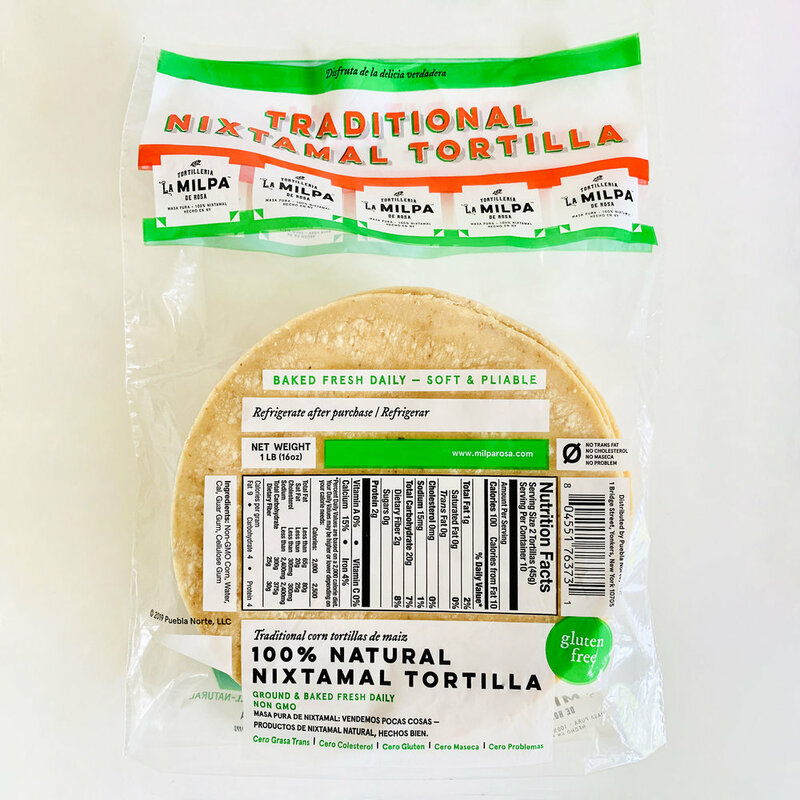 Our 6" Extra-Soft nixtamal tortillas are made fresh daily. 100% corn, non-GMO, authentic and delicious. 24lb 6" pulgadas de nixtamal disponibles. Tortillas de maíz azul. Our 6" Extra-Soft blue nixtamal tortillas. (All sizes available, call for details.) 100% natural blue (azul) corn. 24lbs 6" pulgadas de nixtamal disponibles. Our tortillas are made with fresh and 100% natural ingredients with no artificial preservatives. Great for restaurants and families! Need something you don't see? Let's get creative. we bite tortillas, not people.